From your apartment door to your bike lock, it's not uncommon to carry a number of different keys on your keyring, but that doesn't make it any more bearable when you're fussing to find the right one or deal with the infamous pocket bulge. The KeySmart Pro's smart design cuts down on key clutter and comes loaded with Tile™ Smart Location, so you'll always have your keys handy. Fashioned from stainless steel, the KeySmart can easily store up to 10 keys in its space-saving sleeve. In addition to locating your keys on a map, the KeySmart's Tile™ functionality also allows it to ring, so you can hear your sleeve even if it's buried between the couch cushions. 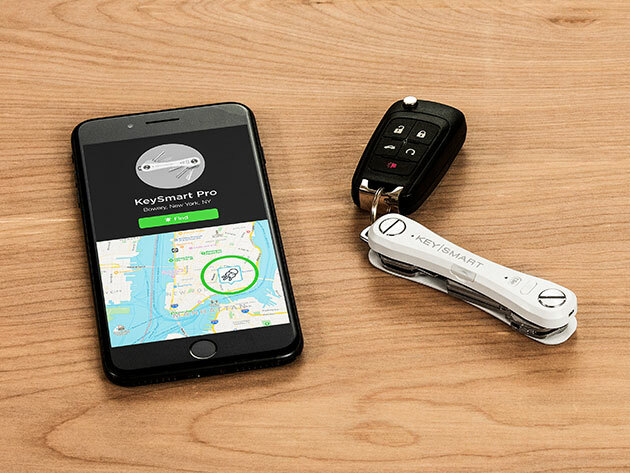 What's more, the KeySmart even works in reverse, allowing you to ring your phone if you can't find it—even if it's on silent. The KeySmart Pro with Tile™ Smart Location is available in the Boing Boing Store for $39.99 today.